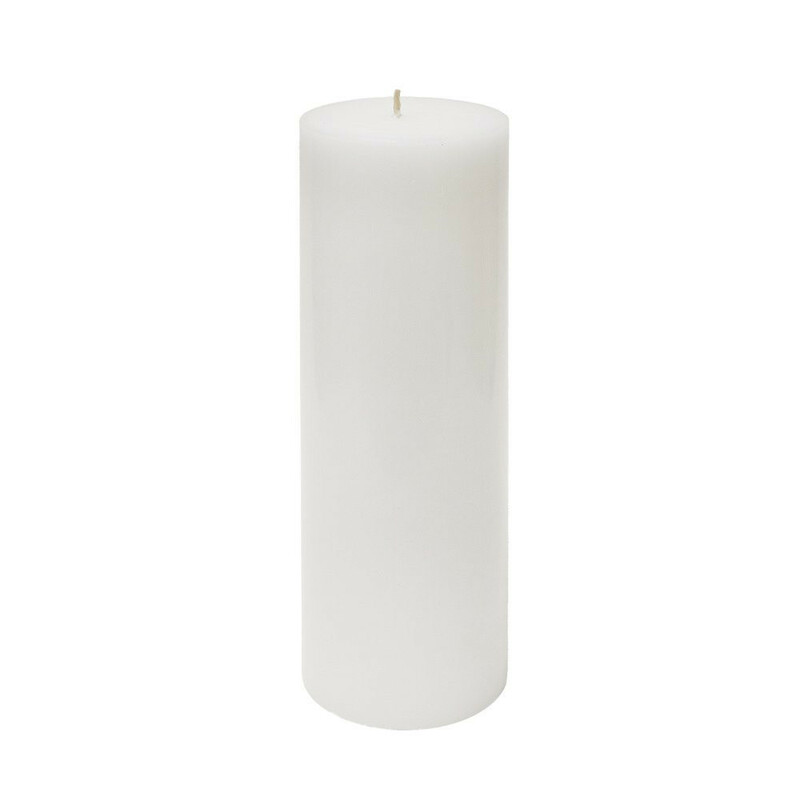 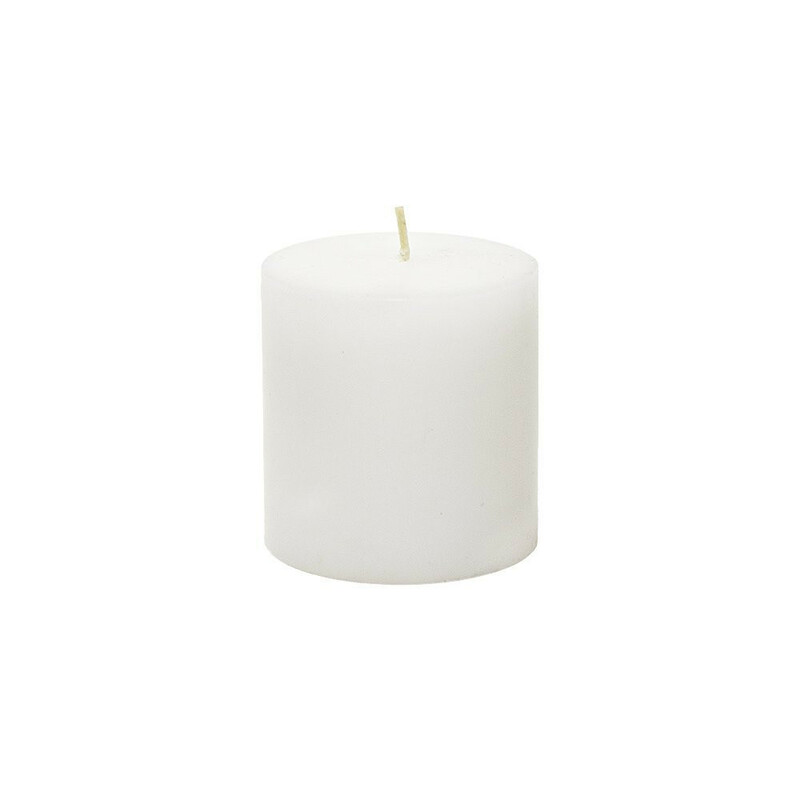 Bell-A-Roma Candle presents the tri tone style 2.75 x 3 scented pillar candle. 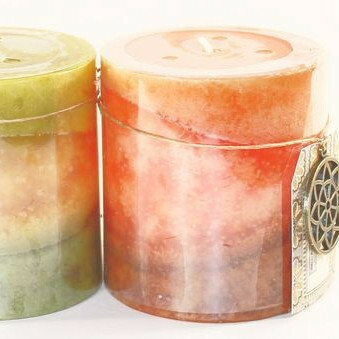 The candles are tri colored and variegated in tones of blues, greens, orange and aqua. 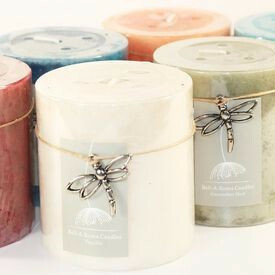 The scented pillar candles are available in 4 fragrances: Citrus Blush = Orange Tones, Pear Jasmine = Green Tones, Cherry Blossom = Blue Tones and White Tea & Apricot = Aqua Tones. 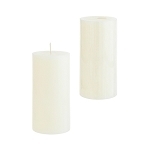 The case includes 24 scented pillar candles, case is only available in assorted fragrances. 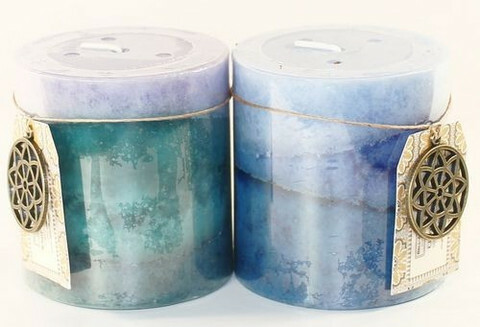 Each candle is shrink wrapped and has fragrance tag and a metal designer medallion. 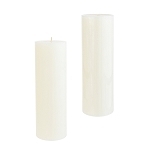 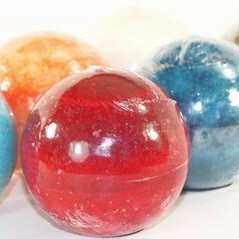 Burn Time is 25 to 30 Hours, made from paraffin wax.